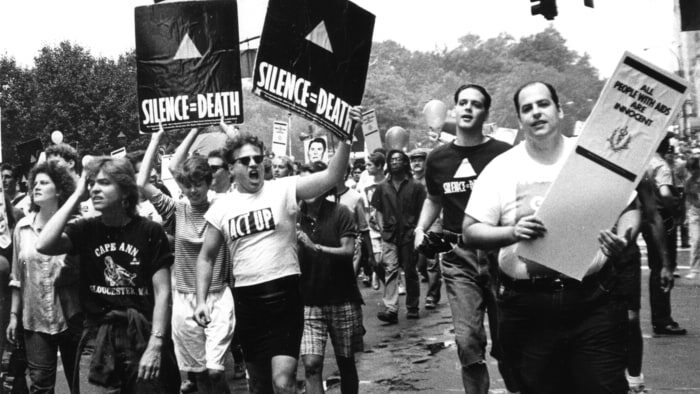 Join us for a screening of Jim Hubbard's "United in Anger: A History of ACT UP." This film chronicles the AIDS activist movement from the street-level perspective of those on the front lines of fighting the epidemic. Oral histories of members of ACT UP and rare archival footage illustrate the efforts of ACT UP to combat corporate greed, social indifference, and government neglect. The evening will begin with a short performance by drag queen, writer, and activist Miz Cracker. Following the film, there will be a discussion with Miz Cracker and the filmmaker, Jim Hubbard, a veteran in the battle for LGBTQ rights and in the fight against AIDS and the founder of the ACT-UP oral history project.